I ended PART 2, explaining how to buy cheap digital items in order to increase your feedback score. In addition to buying cheap digital items, you should also buy regular household items -- local store items -- that you do intend to use. When buying such household items, you nearly always find these same items much cheaper on eBay. You can even buy non-perishable foods and other grocery items. This not only saves time and gas, but you are shopping online, from the comfort of your home. More importantly, you will be increasing your feedback scores, and gaining more knowledge about eBay. 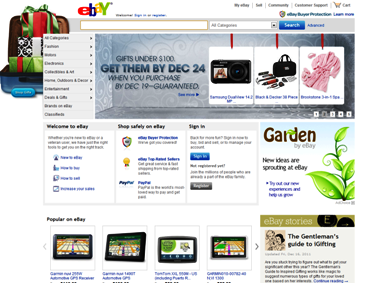 Another way to shop is by purchasing products on another eBay site. As opposed to buying on an online auction, these products are bought from the "Buy It Now" eBay site. When using this option, you buy your items now, and you don't have to wait for the bidding to end, and the winner to be announced. At "Buy It Now", you make your purchases, as listed, on the eBay site, with a fixed price. "Buy It Now" has options for both buyers and sellers. How do you pay for your purchase? You should pay for your purchase immediately -- whether you purchase by online auction, or from "Buy It Now". Click on the "Pay Now" button that's located on the same page as your chosen item. There are more sophisticated ways to pay, but whichever option you choose, you will always be lead to the "Checkout" page. Once the transaction is completed, the seller will send you a paid receipt/invoice.